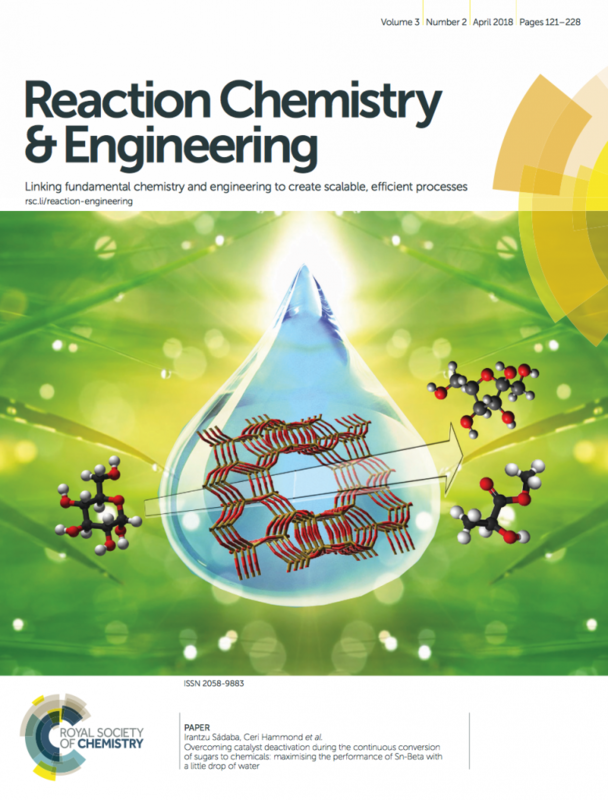 Our article, titled “Overcoming catalyst deactivation during the continuous conversion of sugars to chemicals: maximising the performance of Sn-Beta with a little drop of water“, was recently published as a Front Cover article in Reaction Chemistry and Engineering. The article can be found here. Congratulations to Daniele, Luca, and our collaborators at Haldor Topsoe, for publication of this work!